League 1 ended in spectacular fashion last year and hopefully this year will have an equal amount of excitement. There are once again some very big teams in the division and it is tough to call as they do not always adjust to the league as quickly as they should. Sometimes it is the littler teams that triumph and end up in the promotion picture, just look at Yeovil Town last year, who would have bet on them at the start of the season. Wolves are the clear favourites to win the title and they should challenge because they have suffered two consecutive relegations and still actually have some Premier League players in their squad. I like new manager Kenny Jackett he has come in and it seems like he got rid of the negative vibes around the club and will be successful. So far he has not had the opportunity to sign many players but Sam Ricketts at the back could be crucial and the returning Leigh Griffiths will surely score a lot of goals. Another relegated team are also one of the favourites and this one is not surprising as Peterborough United have been in this situation before and returned to the Championship swiftly. However it has not been as champions so it makes me think that second place or the playoffs may be their best bet. They haven’t signed many players either but they were very unfortunate to get relegated on the final day so why change anything? Dwight Gayle has left for Crystal Palace and they will need to replace his goals. Brentford were probably the most unlucky team in League 1 last season and in all honesty should already be in the Championship so it is no surprise to see them as one of the favourites. Manager Uwe Rosler really wants promotion this season and the players he has brought in should help them achieve that. Loan signing Ben Nugent should be good enough for League 1 and striker Will Grigg showed that he knows where the back of the net is for Walsall last season. I also think the signing of experienced player Alan McCormack is very good and he may not get the headlines but is always reliable. The final relegated team Bristol City cannot be discarded either though because Sean O’Driscoll is a great manager and he should never have to drop down to League 1 to have a job in my eyes. He should still be manager of Nottingham Forest really. But he is at City and he has a tough job, he lost two of his best strikers In Jon Stead and Steve Davies and will be hoping that some of his signings can step up like Jay Emmanuel Thomas and Marlon Harewood. I also think that Marlon Pack and Scott Wagstaff are great signings and they will be brilliant under O’Driscoll who likes to play football the right way. The final pick is Sheffield United but I am a little unsure about them as their new manager David Weir has no experience of being a league manager and they really needed someone that knew the league and how to get out of it in my opinion. But saying that they still do have a great chance of winning the league as they have not lost anyone from last season’s squad that should be in their starting 11 and bringing in players like Febian Brandy and Stephen McGinn are positive moves. Weir will also have a lot of contacts so they may use the loan market very well this year. It is tough to back against Wolves but I just feel that it could be Bristol City that take the title. Wolves suffered their second relegation last season from the Championship and will now be hoping to stop the slump. To do this they have hired Kenny Jackett and this is a fantastic appointment and although I don’t think Dean Saunders was to blame fully for their relegation he should have never got the job in the first place. But I am much more confident that Wolves will finish towards the very top of the table next season under Jackett. He did a very good job at Millwall winning 130 games and during his time their winning promotion to the Championship through the playoffs. He may not be the biggest name or even the most adventurous appointment but he is exactly what Wolves need right now, a steady and consistent manager that may not excite the fans but he will certainly get the points on the board. I was surprised to see him leave his last job but sometimes managers do need a change and I really do hope it works out for both himself and Wolves. In my opinion it would not be a surprise if at the end of the coming season Millwall get relegated and Wolves get promoted. Jackett does not have it easy because there are still a lot of players at the club that were there in the Premier League and they will be on high wages and need to leave the club. Karl Henry, Stephen Ward, Roger Johnson and Jamie O’Hara have all been transfer listed. 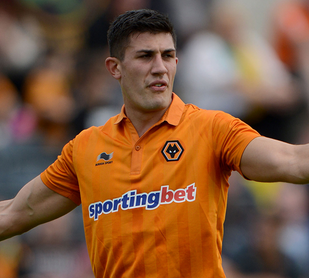 Looking at the players that are still at the club and will stay they should still have a good defence with Danny Batth already experienced in League 1 after a loan spell with Sheffield Wednesday and new signing Sam Ricketts a capable player that can do a job in any of the four defensive positions. The midfield is another story though and is looking a little light of experience so they will have to look towards David Davis who has played quite a lot but has maybe not quite shown his true potential. Anthony Forde is another that will have to play to his potential next season because there could be a reliance on him to create chances. He has played 31 times in his career and I would expect him to at least double that number next season. David Edwards will also be crucial to the team if as expected he stays at the club. Next season Wolves could play with a young but exciting strike force with Leigh Griffiths coming back from his loan spell at Hibernian. Griffiths should be very confident after hitting 28 goals in 40 games last season. 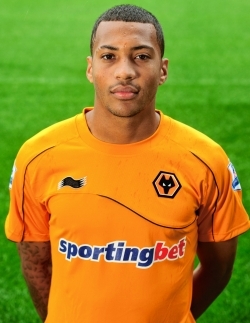 League 1 will be a different challenge but I think he could replicate this form and fire Wolves to promotion. He could be partnered by Jake Cassidy who has played in League 1 before at Tranmere Rovers and over two loan spells scored 16 league goals in 36 games. Kevin Doyle is still at the club but it may be better for both if he left because he has not had a great time and has not lived up to expectation. Who will be Ipswich Town’s next manager? 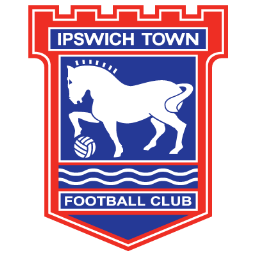 Ipswich Town find themselves bottom of the Championship and are now looking for a new manager after Paul Jewell’s departure. Already, there has been a lot of talk of who will replace Jewell, with George Burley being the latest to say that he will apply to become the next manager of the club. It would be Burley’s second spell in charge and under him the club had some of their best seasons which included a season in Europe. Also, striker Michael Chopra has said that he would like Alan Shearer as the next manager, which would be quite interesting because it would only be his second job in management and maybe more experience is needed at such a crucial time for the club. They have been on such a bad run lately and some people are putting it down to the fact that they have so many loan players in their squad at the minute and they can’t find the right formula for success. Jewell, had a 34.12% win record at the club but even he is telling other managers to apply for the job, so he obviously feels that there is a lot of potential and he wants success for all the loyal fans. 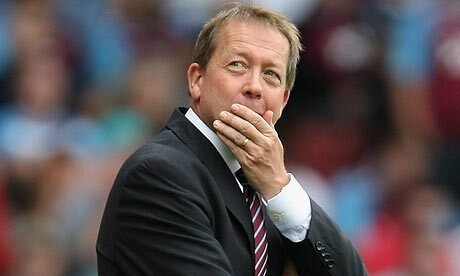 A lot of names have been put forward, but the current favourite is, Alan Curbishley, who has been out of the game since 2008, and this may actually be a good fit for both manager and club because he has a good record, not only in the Championship but also in the Premier League. The only negative with appointing Curbishley is the fact he has been out of the game for quite a while and the new manager needs to hit the ground running, whereas the former Charlton Athletic manager may take a while to get back into the groove. 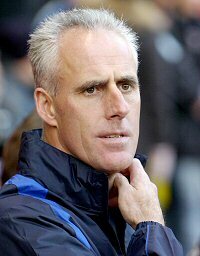 Obviously, Mick McCarthy is linked with the job like every other going, but I do believe Ipswich have a genuine chance of getting him because they are a big club and just need someone to steer them back in the right direction, which the former Wolves man has done many times before. McCarthy, has a win percentage of 39.29% which is similar to Jewell but the difference between the two is that McCarthy has done it consistently at a higher level. This man needs to choose his next job carefully and if he can keep Ipswich up this year and then have a promotion challenge next season, his CV will look even more impressive. Finally, quite a strange one to me is, Gary Megson. In his last job, some people believe he was harshly sacked by Sheffield Wednesday and should still be in charge there but these things happen in football and it wouldn’t be the first time someone got sacked in League 1 and got a job in a higher division, just look at what Alan Pardew is doing at Newcastle United. 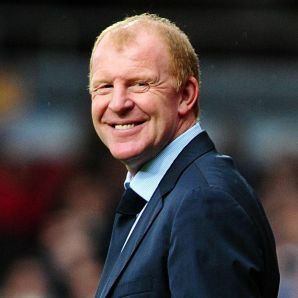 Megson, has gained promotion from the Championship before and he kept Bolton Wanderers in the Premier League so he wouldn’t be a terrible choice, but I just feel the fans may not be too excited by this appointment. Others linked with the job are, Owen Coyle, Andy Thorn, Paulo Sousa and Paul Tisdale. So who would do the best job for Ipswich Town? Who will be Crystal Palace’s next manager? Crystal Palace are looking for a new manager after Dougie Freedman decided his future is away from the club and at Bolton Wanderers. Freedman, has left the club in a lot better position than the one he took charge of and along with his playing career, he will always be seen as a legend by the fans and I’m sure a lot will want to wish him the best of luck at his new club. They, along with Freedman will have good memories over the last couple of years, including beating Manchester United in the quarter final of the Carling Cup and escaping relegation quite comfortably in the end. So, who will they get to replace him? Should they be looking for more experience this time to continue the good job the Scotsman had done or bring in someone that is young and exciting? However, one thing to take into consideration is still the financial side of the game, will they have to look at the unemployed list or can they tempt someone to leave their club? 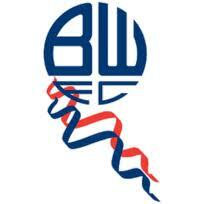 Obviously, they should get a compensation package from Bolton so they may just use this to get a new manager. The favourite for the job currently is Steve Coppell. This is a very interesting one in my opinion because he left Bristol City after just two games and actually announced his retirement. However, a lot of fans will be in favour of this because he obviously has a lot of affection for the club and including caretaker spells has been in charge four times. His experience is not in question but he has been out of the managerial game for a number of years now so maybe he wouldn’t be the best choice right now. Also, he is currently the Director of Football at Crawley Town so they may have to pay compensation for him. The next name is actually one that if they could get, would be a fantastic coup for the club as he will be linked with every job in the Championship until he decides to take a job. This man is Mick McCarthy and he would bring a lot to the club and could actually push them onto the next level and get Premier League football back to Selhurst Park. Gaining promotion with Wolves and Sunderland has made his CV even more impressive. Could Crystal Palace realistically get him though? The final name that caught my attention is a former player, that actually has managerial experience, not only in the Championship but the Premier League and that is Gareth Southgate. Obviously, he started his career at the club and played over 150 league games so he knows exactly what the fans are about and even though things will have changed since he left, there is still the same passion about the club that was there back then. The only worry is that, he has also been out of the managerial game for a while and it might take him some time to adapt to the role again. 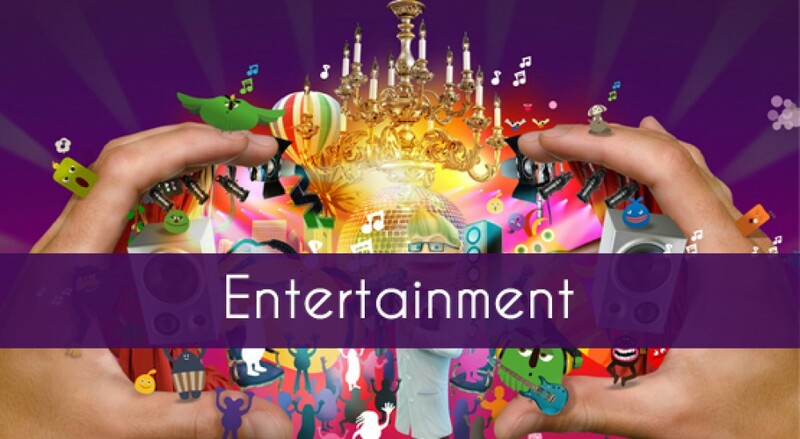 Other names that have been linked with the job are Andy Thorn, Lennie Lawrence and Karl Robinson. Would the Palace fans prefer one of these to get the job? 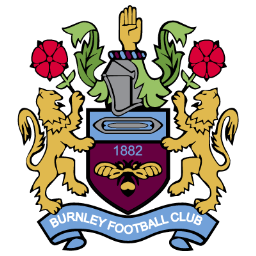 Who will be Burnley’s next manager? Burnley may not have had the greatest starts to the season but they probably didn’t think they would need a new manager at this stage. Eddie Howe, left the club for a team in a lower division and this may be quite hard for some fans to take, as surely there is more potential in a Championship side than there is in a League 1 side. But, if the reports are correct, then he left for personal reasons and nobody can really stand in his way if these are true because he wouldn’t have been able to perform to the best of his abilities if he wasn’t happy. So, they have to now look to the future and if they can keep hold of Charlie Austin then they have a good chance of getting in the playoffs this season, if they appoint the right man because someone that has already scored 15 goals should be in a team competing near the top of the table. It wasn’t too long ago that they were in the Premier League and they will have hoped that Eddie Howe was building towards taking them back there, but, in my opinion, it never looked likely under him. The big question is who will they appoint? 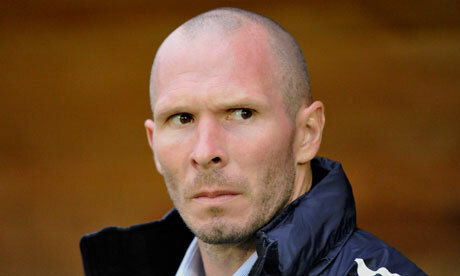 The favourite for the job is, Michael Appleton. I do understand why they would be looking at him, but the fans may not be overly enthusiastic about this appointment because he does have limited experience and even though he is performing fantastically at Portsmouth, is he really a promotion manager? Or, is he just overachieving because of the adversity he is facing at his current club? I think he will stay at Fratton Park a while longer but who knows maybe he will want a secure future and he is more likely to get that at Burnley. Former player, Graham Alexander, is also heavily linked with the job, but yet again he does lack managerial experience and is this really the right option in the Championship? It worked out for Chris Hughton at Newcastle United, but was this a one-off? One thing that Alexander does have is the fact that his playing career was phenomenal, with him playing over 1000 games and so should get the respect of the players straight from the off. It hasn’t bothered the fans before that he has such an affiliation with rivals Preston North End, so I don’t see it being a problem if they bring him in as manager. 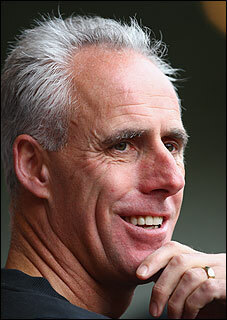 Finally, and the one most likely in my opinion, is Mick McCarthy. Yes, he has been linked with every Championship job available since he got sacked as manager of Wolves but Burnley are the first team in public that have confirmed their interest in the former Republic of Ireland manager. 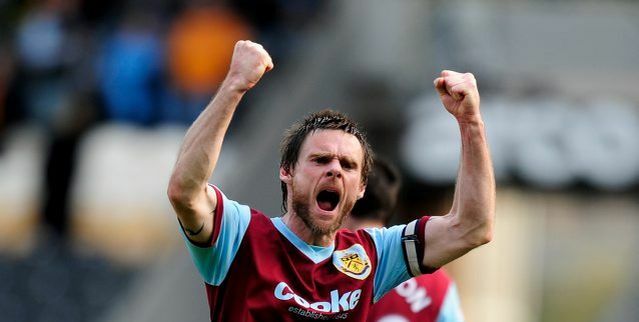 He has a good record in the Championship and has got teams promoted in the past, so even though he may not play the best football, it is effective and he has proven methods that work in the Championship and that is exactly what Burnley need right now. 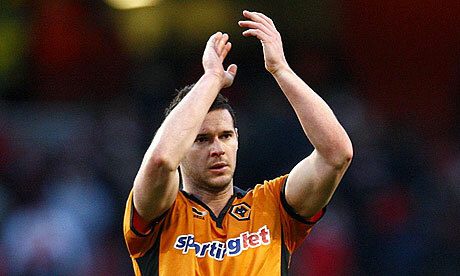 How much will Wolves miss Matt Jarvis and Steven Fletcher? Wolves have sold two of their star performers from last season in Steven Fletcher and Matt Jarvis and although the fans must have half expected it, it is still a blow. Along with losing Michael Kightly, Wolves have lost a lot of their creativity and may now struggle to create and take chances so manager Stale Solbakken may have to dip into the transfer market once again. 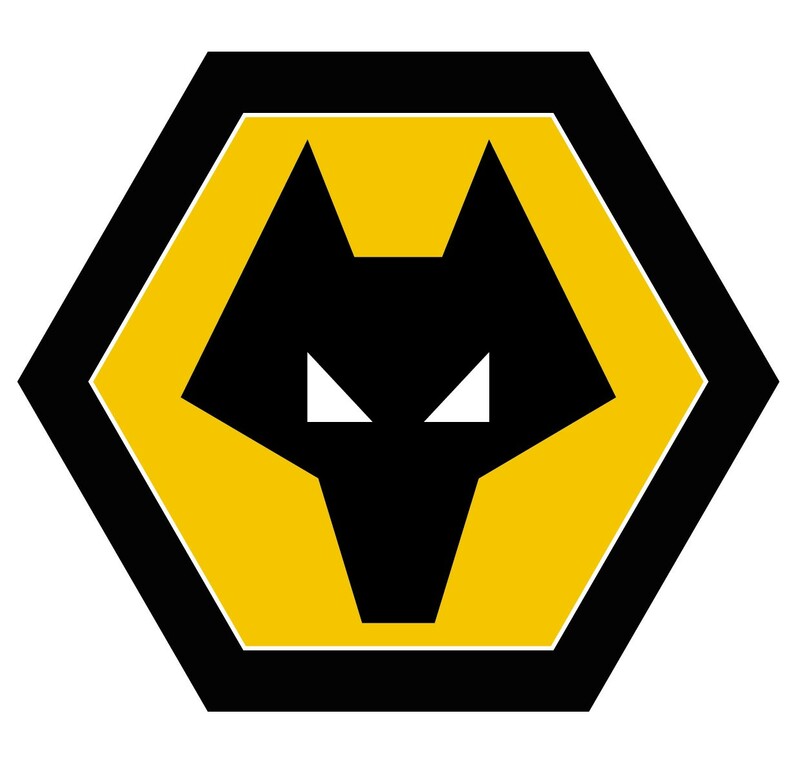 One thing Wolves have more than most clubs is that their finances are always very healthy and I’m sure if the manager wants to use the money gained from the transfers to buy players the board won’t have any objections. But spending the money does not always make you successful and they may have good enough options in their squad already. Upfront Steven Fletcher may be a miss but Sylvain Ebanks-Blake and Kevin Doyle look to be first choice this season and between them they have a good pedigree in the Championship and I am expecting them to score quite a lot of goals. With Frank Nouble and Bjorn Sigurdarson backing them up, I don’t think they will have to bring in another striker or at least pursue another one. If someone becomes available and they think they can do a better job then they will have the funds to sign them so it isn’t all doom and gloom now that they have lost their star striker. But, if they do achieve their ambitions and get back to the Premier League at the first time of asking then they will need a new striker, as Fletcher got 12 goals in 34 games last year and even that didn’t keep them up so that just shows where they had problems. The bigger loss for me at the moment, is definitely winger Jarvis because he was often the spark for the team, he deserves to be in the Premier League and I don’t think he was actively looking to leave the club this summer even though he was in high demand. He has actually started the first two games at the start of the season and as we have seen with a lot of players over the years he could have refused to play and forced through a move. He will be harder to replace but, yet again, maybe they don’t need to. They have Slawomir Peszcko who impressed me on his debut against Leeds United and I think he will improve as the season goes on, and Stephen Hunt who can be very good on his day but he just hasn’t shown enough yet in a Wolves shirt. Also, waiting in the wings is the young Anthony Forde who actually started against Leeds on the opening day so they obviously have high expectations for him. So, I can see Wolves keeping hold of their money at the moment and if they need extra reinforcements in January to push them on then we may see some movement. Or, if they get promoted then they have a little extra money to make sure they have enough quality to avoid a relegation battle in the next season. Kevin Doyle may not have scored enough goals to keep Wolves in the Premier League but he will be hoping to fire them back there. The last time he played in the Championship he scored 18 goals in 42 games which is a very good record and if he can replicate that sort of form then he will surely come close to being top goal scorer. In my opinion he owes Wolves as he has only scored 21 goals in 102 games and that has not been good enough and only scoring 4 of them in the league last season is one of the reasons they got relegated. New Cardiff City signing Heidar Helguson will also be hoping to score a lot of goals in the coming season and at least get them into the playoffs. Helguson is probably slightly frustrated that he is not still in the Premier League as he scored nine times in just 16 games for QPR last season. However, he is 34 now and his best years may be past him and the last time he was in the Championship he only scored 13 goals in 34 games. I think he will be vital to Cardiff this year but will only be an outsider for the Golden Boot trophy. Jermaine Beckford may have only got nine league goals last year but I think he could get a lot more this season with Leicester possibly pushing for an automatic promotion place. Last season was his first full one in the Championship but he has had a full season in the Premier League so maybe he should have performed slightly better but now he has a good understanding with strike partner David Nugent he could score the same amount of goals he did in League 1. 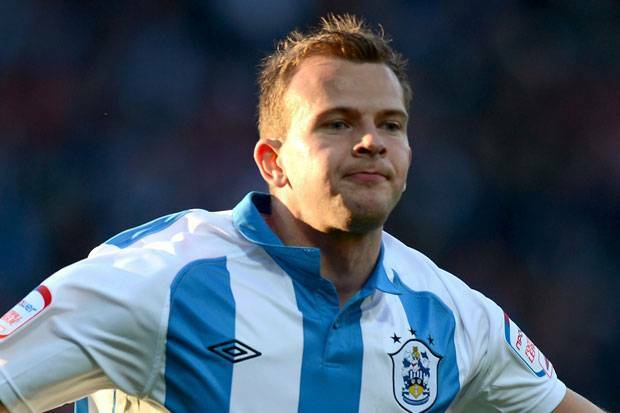 Huddersfield Town star man Jordan Rhodes has to be a consideration because in my opinion with the way that he plays the game he will score goals at all levels. He has fantastic movement and scores all types of goals which will mean he will be a marked man but if he is given the service he will put away his chances. There are rumours that he could be leaving for Blackburn Rovers and this would only help him to score more goals but even if he stays at Huddersfield I expect him to get over 15 goals. 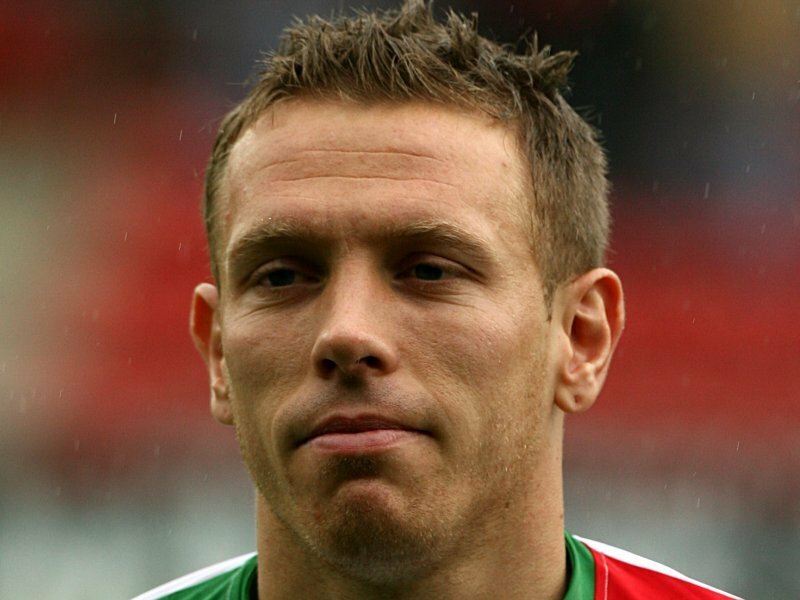 Finally, Craig Bellamy has to be considered an outsider because he has proved he can score goals in this division in his previous spell on loan at Cardiff City. He will be doing all he can to get his hometown club promoted and what better way to do it than score the most goals in the division. The 33 year old has never reached 20 goals but this could be the year that he does it and he will no doubt prove to be a fantastic signing but if he can add the goals to his game then he will be the signing of the season. Bolton Wanderers are one of the favourites to be promoted straight back to the Premier League and it is clear to see why. They have kept the majority of the squad from last year and in my opinion it should have been good enough to survive in the Premier League. At the back they have Zat Knight who is a capable defender and David Wheater and new signing Matt Mills so they are covered there. In midfield they have the returning pair of Lee Chung Yong and Stuart Holden combined with the quality of Mark Davies and Chris Eagles they should be able to control most games with these players. The only position they are struggling with slightly is in attack as they seem to lack a consistent goal scorer but I have high hopes for both Marvin Sordell and Benik Afobe this season. 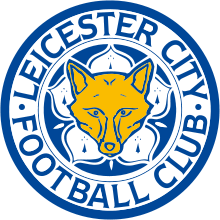 Last year many people believed that Leicester City would walk the title and would be preparing for a season in the Premier League right now but unfortunately for them it didn’t quite work out and a lot of their bigger names didn’t perform their best. Now, with Nigel Pearson back in charge they look set to be contenders once again. Both David Nugent and Jermaine Beckford can score goals in this division and Wes Morgan marshalling the defence I expect a much better showing from them this year. Neil Warnock has got QPR and Sheffield United promoted to the Premier League in the past and will now be hoping to work his magic at Leeds United. 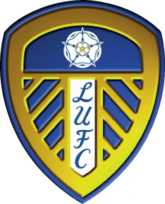 The only problem I see with backing Leeds is the fact that they keep losing their best players and the ones that can produce a bit of magic like Robert Snodgrass but nevertheless they do still have payers like Ross McCormack (who is actually linked with a move away) and Luciano Becchio who can score all types of goals so they will be challengers. 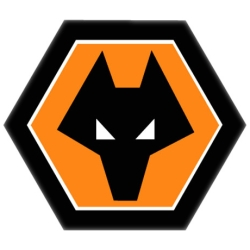 Wolves were just awful towards the end of last season and that will have hurt their players and they will be hoping to bounce back to their best this season and give the fans something to cheer about. They could be losing three of their better players though before the transfer window with Michael Kightly already leaving and both Steven Fetcher and Matt Jarvis being linked with Premier League clubs it may not be so easy. Also the team will have to get to grips with what Stale Solbakken or it will be another season of disappointment and they may get stuck in the Championship for a number of years. 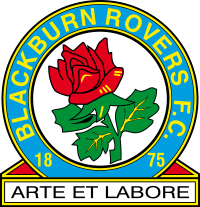 Finally, the third team that were relegated from the Premier League, Blackburn Rovers also make my shortlist and it was a difficult decision on whether to include them because they have someone in charge that seems to be a very poor manager but in his defence he has brought in some good signings and that’s what is making me think they could win the title. 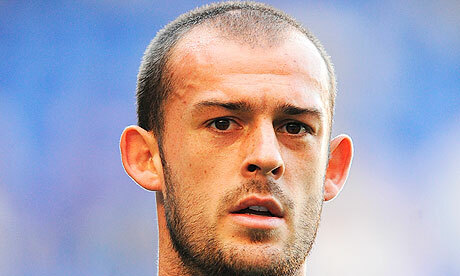 Danny Murphy could prove to be the signing of the season in the Championship and lead them back to the Premier League.